Group and company sailing days are the perfect activity, allowing participants to get to know one another better during a dynamic, exhilarating experience. Learning to sail and race is also an excellent way to build client relationships, in a unique and memorable setting. Whether your goal is a relaxing sailing experience or a more focused corporate team building trip, Offshore Sailing School will tailor a program to meet your desires. At all Offshore Sailing School locations, fleets of exciting Colgate 26 sailboats are available to refresh workplace activity and entertain clients. The feeling of wind in your hair and a little spray on your face will surely excite and restore a passion for life-changing adventures together. 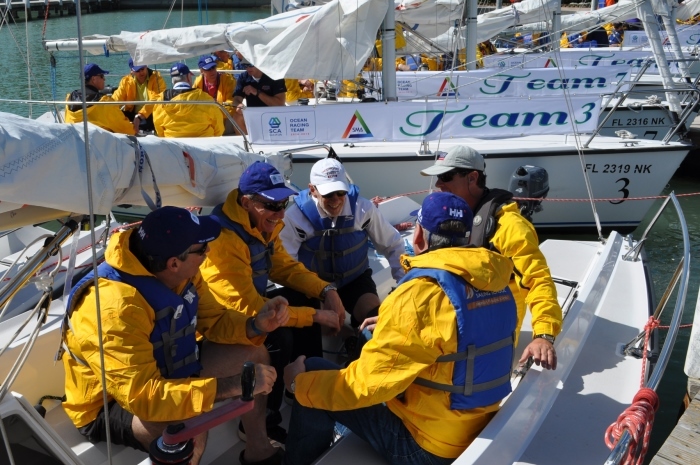 Ask for a quote on team building sailing events today! entertaining corporate sailing day on the water provides quality time with clients in a totally unique setting. Offshore Sailing School can do the same for you. Start your day with coffee and snacks and head out on the water with professional coaches for a morning regatta, then rendezvous ashore for a catered lunch, back out on the water for afternoon races, and finish the day with hors d’oeuvres, drinks and regatta awards. We will tailor the day to meet your goals, at any of our resort locations. When your team shows signs of malaise or stress, work is building up and a little R&R is needed, bring them to Offshore Sailing School for a fun company outing under sail. With a professional Offshore Sailing School instructor on each boat, they can participate in steering the boat and trimming the sails as little or as much as they like in a two hour or longer session. 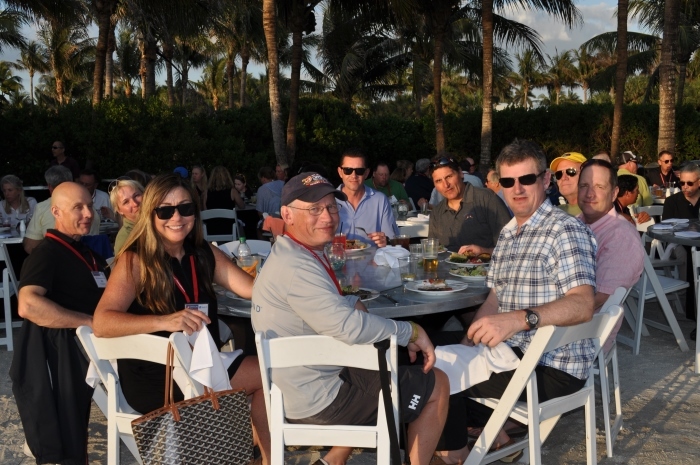 If you are planning a meeting with clients, co-workers or employees at a resort destination, consider our beautiful locations in Florida and the British Virgin Islands. All can accommodate groups and meetings, with theme-based meals, beach activities and sailing, of course. Add a two-hour sailing break between or after your indoor meetings. The most appreciated reward you can give to a key employee, or a client, is time on the water under sail. A two to five-day Learn to Sail course, with accommodations at one of our popular resort locations, empowers and invigorates those who love to learn something new outdoors. If you are charged with rewarding clients and creating incentives for employees, you will be thanked over and over if you give the gift of sailing. Whether it is a two-hour lesson or a comprehensive certification course, your employee and customers will return with amazing tales of how sailing has opened a whole new outlook on life. If you have limited time for a fun company outing and just want to get out into the great outdoors, you can book a two hour sailing escape. Regattas can be done in a half-day, full day or multi-day program. 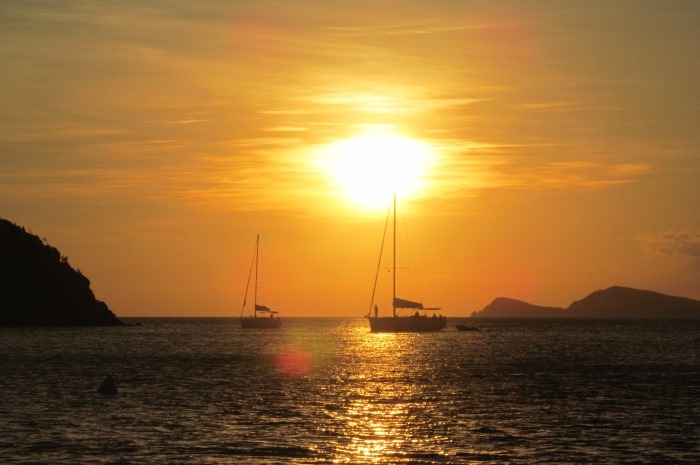 At many of our locations, we can also take small groups out for sunset sails, an amazing experience aboard a beautiful yacht gliding through golden-hued seas. Sailing is aboard our lively Colgate 26 sailboats or 43’ to 54’ cruising boats – each with a licensed instructor, coach or captain aboard. Call us today to learn about the fun company outings we can provide.